This is a bit belated as I sent the CJ away at the beginning of the month but I'm slowly getting out the bit again and normal service is resuming hopefully. This entry is based on the song "That Day" by Natalie Imbruglia and was one I hadn't really heard before. It is important to Sian however and I wanted to do an uplifting entry for her plus I'm really liking yellow at the moment. 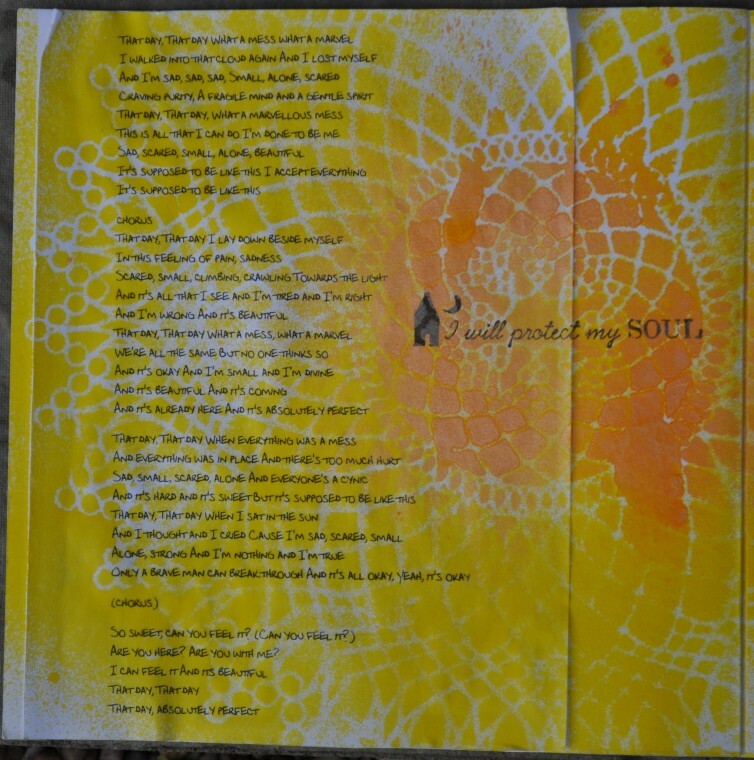 This is the title page with the song lyrics and I used some Maya Mist and Dylusions sprays with a vintage doily I have. The stamp is a Unity Brave Girl one. 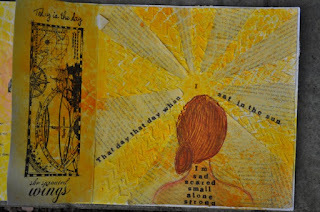 This page I layered down book pages and texture paste using a Studio Calico mask. 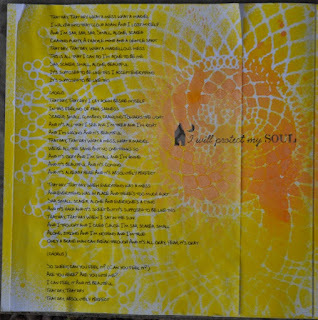 I then sprayed the same colour combination through the doily again. 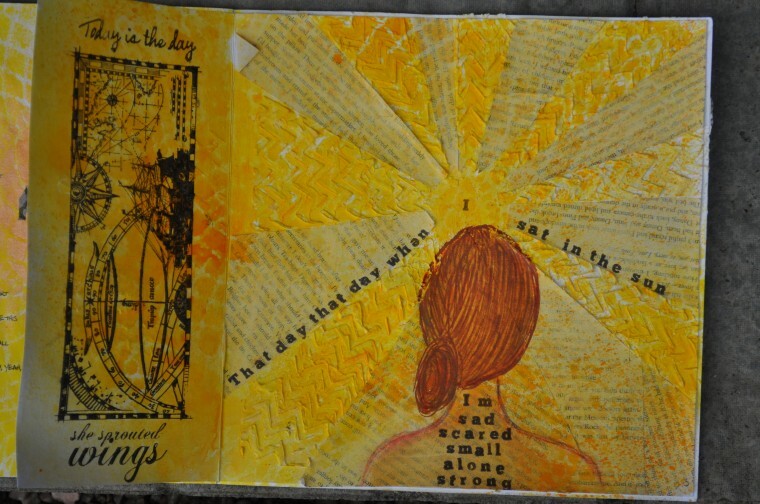 The line that inspired me was about sitting in the sun and I imagined getting strength and warmth from it. I'm still drawing heads as well so I thought it was fitting to have her facing my sun. The hair is a combination of Neocolors and Sharpie poster paint pens. The alpha stamps are Studio Calico while the rest are VivaLasVegas and more Unity Brave Girls.